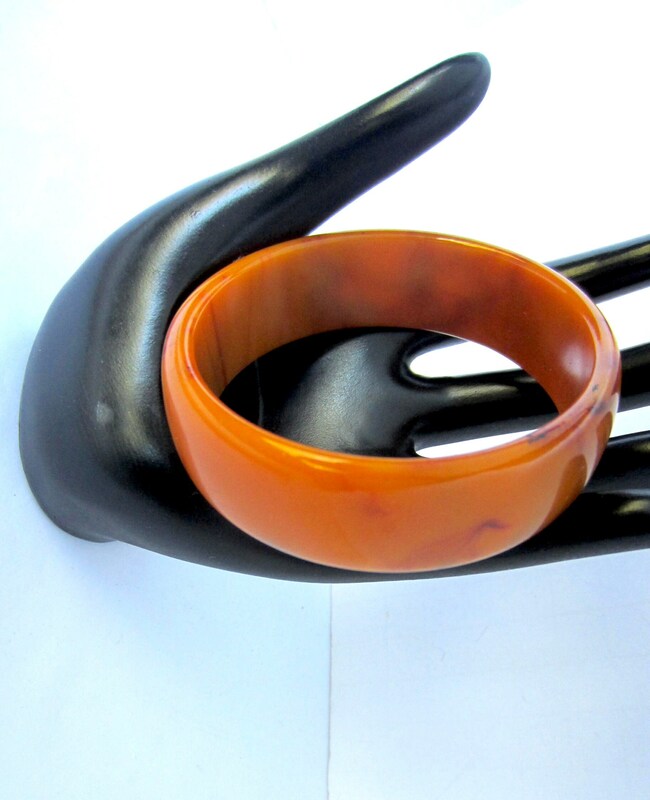 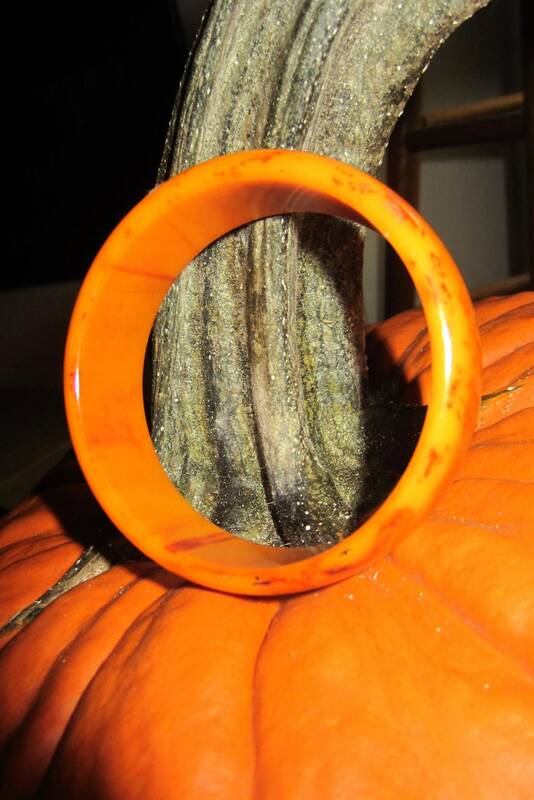 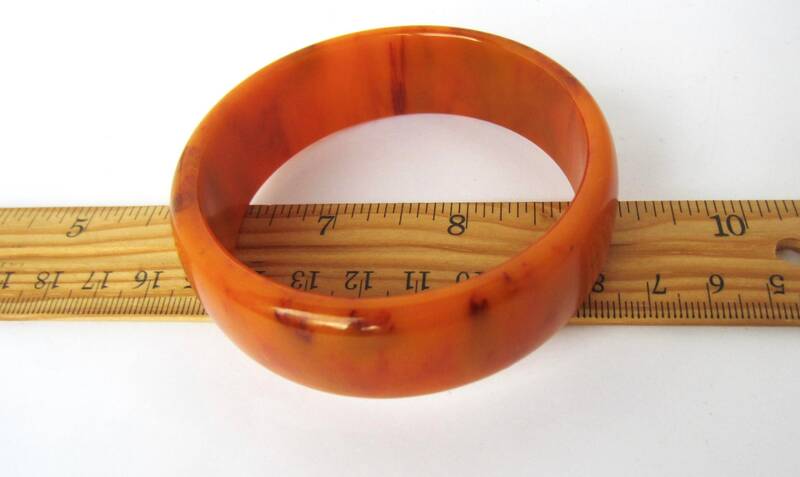 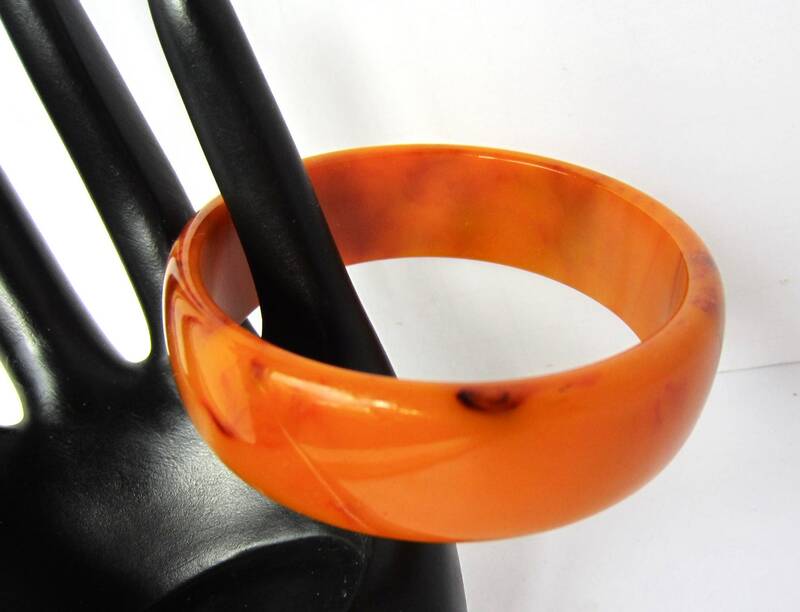 *LISTING: I love this True-PUMPKIN-orange Bakelite bangle. 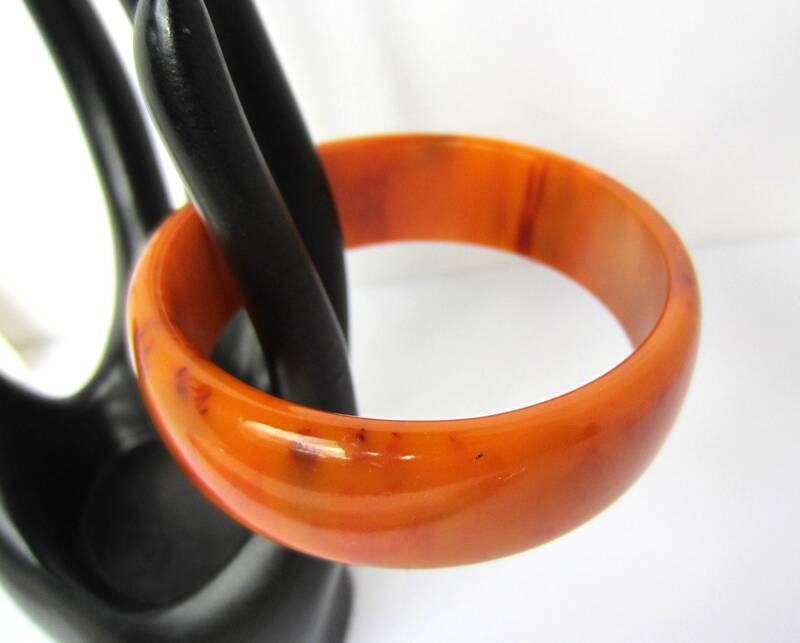 This bangle has a rich pumpkin color that is perfect for this season. 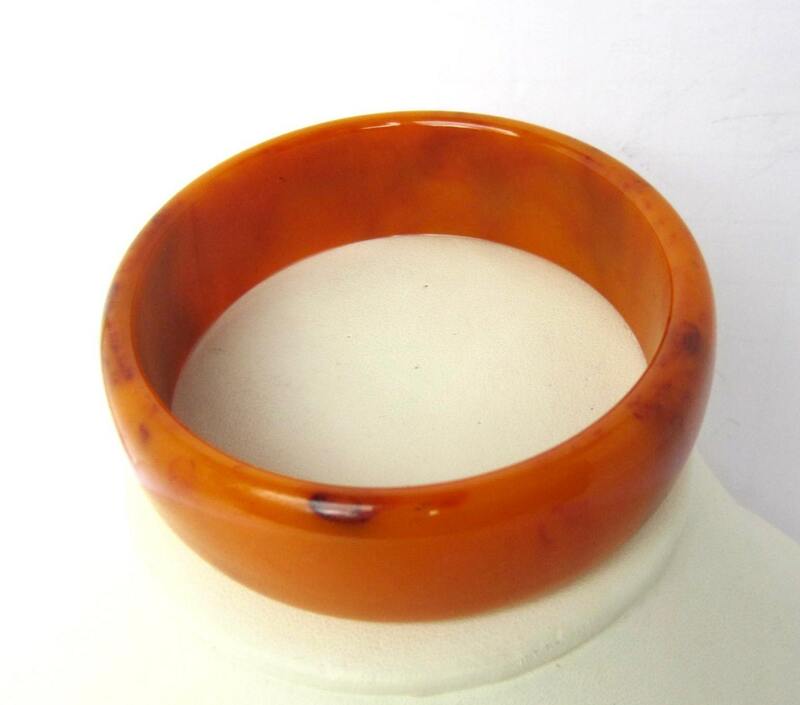 There are cranberry & black End-of-the-Day blotches throughout. 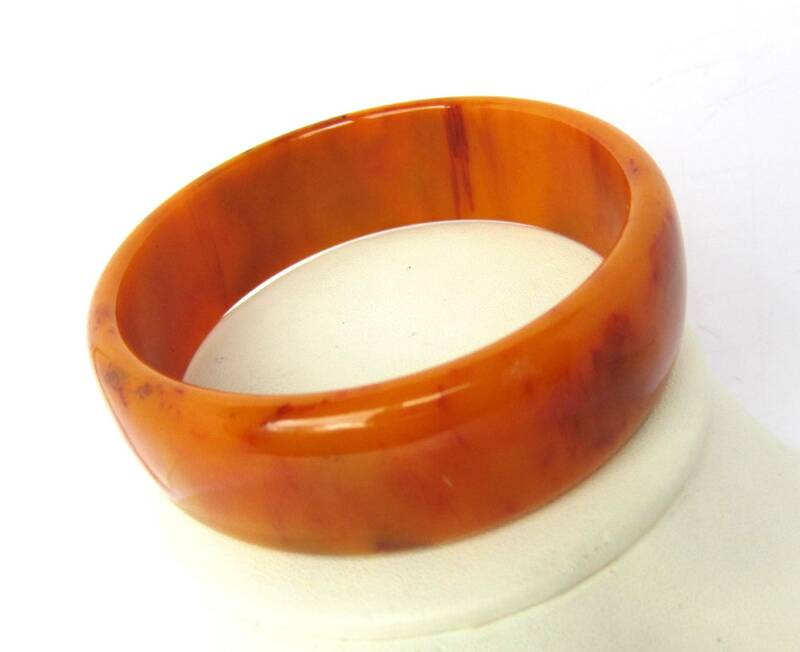 The bangle is bevel set & has a significant weight of ~32 gms. 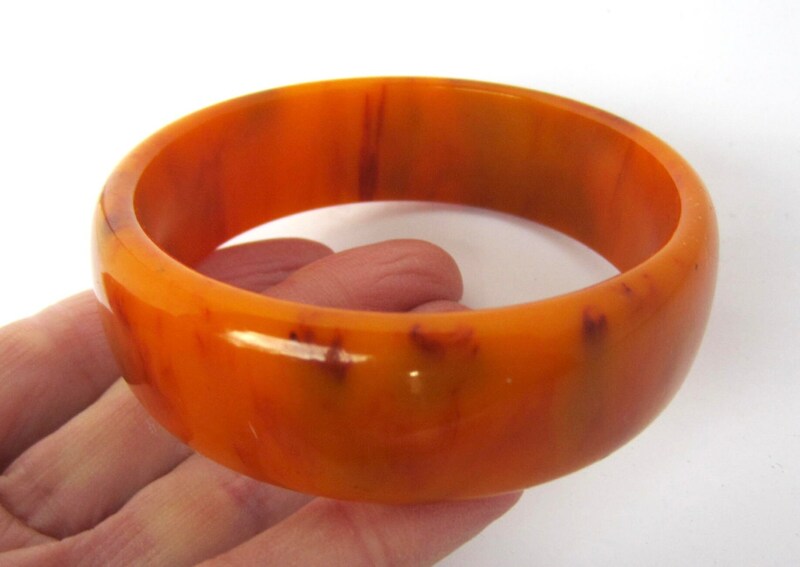 *CONDITION: excellent with mild scratches consistent with age.